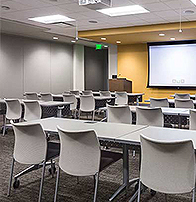 Digital Meeting Solutions | Audio Visual Solutions in Indianapolis - Conference Technologies, Inc.
DMS, an ICT provider, designs systems and technologies for communication, collaboration and display, seamlessly integrating them into architectural spaces of all kinds. 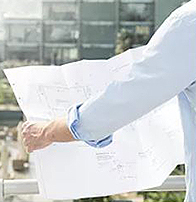 Our work covers all aspects of these projects from conception to design/build/integration, preventive care and maintenance of engineered systems. 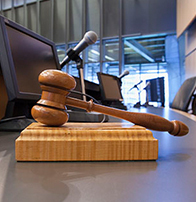 Our court consulting team has 25 years of design and integration expertise to fully build out your court audio visual system and infastructure. 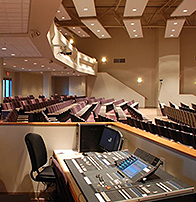 We provide worship spaces with the tools and technology to craft informative, inspiring experiences. We enjoy longstanding relationships with global leaders in architecture and design, collaborating to help shape applied workplace technology. We can help you with individual multimedia systems, as well as build, or upgrade a campus or multi-campus audio visual network. We have been operating as “A division of Conference Technologies” for almost four years, and the timing felt right to simplify our name and unify the brands. The brand recognition of both names is strong and will ensure an easy transition. St. Louis AV is rebranding to the company name, Conference Technologies, Inc. You will see a new logo on our shirts, badges, and vans, with the same friendly, knowledgeable team. Our crew has new email addresses and will be reaching out for those updates. Our people, their phone numbers, and high quality equipment and service you have known for years remain unchanged. Expect the transition to be seamless with a new logo and broader reach to cover your events nationwide. The same team you have known and loved for years, plus a few additional faces with more resources under Conference Technologies, Inc. Your account manager is the same and the rock star crew in St. Louis is, too! Do I need to contact my billing department? No, invoices and Tax ID remain the same with Conference Technologies, Inc., so the W-9 on file and remittance address is current. If you wish to contact our accounting team at any time, please reach out to us for any questions or concerns. I have an outstanding order (quote). Is this still valid? Yes! Our order, quoting, and billing systems all remain the same, so everything is on file and will be valid for your next event. Is your location the same? We are still on Adie Road in Maryland Heights (but in a new building next to the old one) at 11687 Adie Rd., Maryland Heights, MO. Stop by and check out our new place! “The backing of CTI’s national footprint and strong reputation and resources will bring a wealth of expertise to Indianapolis. We are eager to continue to serve our clients, develop more offerings, and build our relationships in the area,” added Mark Fox, DMS Owner.